Adding graphics to your storefront, windows, or to the windows of your commercial vehicle is a great way to not only add visual flair to your establishment, but a great opportunity to increase the advertising power of your brand! Our window graphics are printed on perforated vinyl that doesn’t restrict visibility when viewed from the inside but will allow outside viewers to see vibrant, clear graphics in full color. Window perforation patterns consist of round, evenly-spaced holes that can even be safely installed on storefront windows and doors without impeding visibility. Window graphics also add an additional layer of privacy without sacrificing on public outreach or advertising power. If you’d like to explore window & wall graphics in Fort Worth, TX or any location in the DFW Metroplex and surrounding areas, please give Metroplex Wraps a call at 817-997-4431. We can install custom vinyl graphics on walls, floors, storefronts, and more! We can help you design the perfect images to increase your company’s reach while adding a touch of style to your building, ensuring your message is conveyed to all potential vehicle and foot traffic. Our window graphics can be designed to work in tandem with vehicle wraps to extend graphics or images beyond the painted surface of your vehicle and tie your branded vehicle to your physical location. Make a great first impression! You may also take advantage of a professional canvas, high gloss, matte or satin finish wall mural for your interior office, reception area or showroom. This impressive form of marketing instantly conveys your professionalism and the success of your brand. Our wall graphics will help you foster a fun workplace environment while extending the reach of your brand in a creative, cost-effective way. 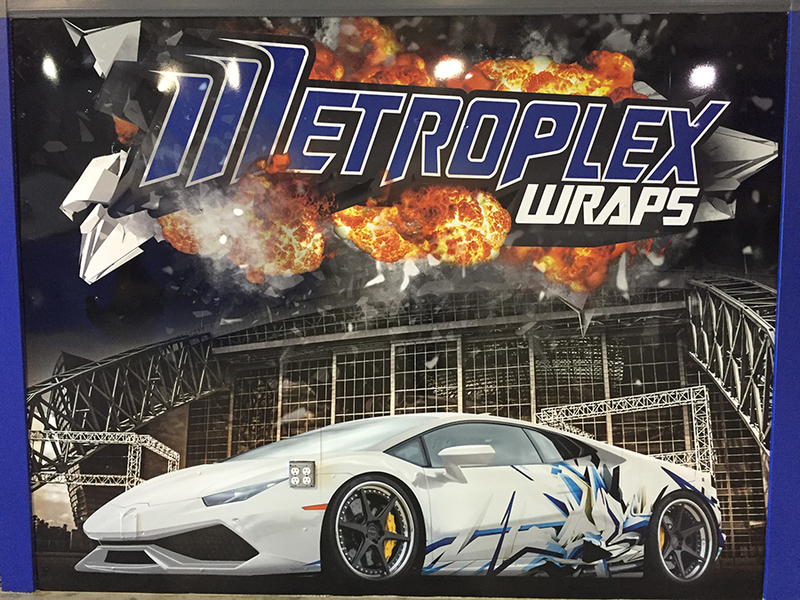 Updated on September 19, 2018 at 9:05 pm by Metroplex Wraps.